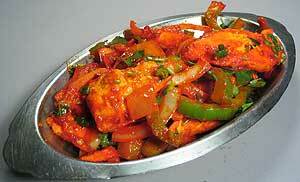 Chicken cooked in a spicy sauce. 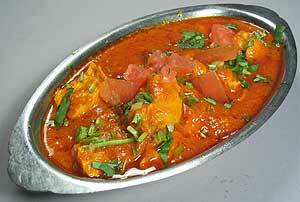 Boneless chicken cooked in a coconut sauce and spices. 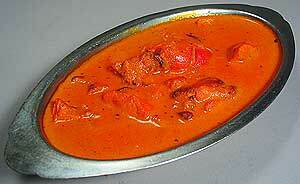 Chicken prepared with mild curry saffron, nuts, yogurt and spices. Chicken stir-fried in bell peppers with garlic, ginger, tomatoes and onions. Boneless chicken cooked in garlic sauce.